In the fall of 2013, the community of San José La Montaña (Chalatenango, El Salvador) and Trinity Episcopal Church (Newtown, CT) agreed to form Sister Parish’s newest hermanamiento (or linkage). At Trinity, we estimated that we could organize our first full delegation by Spring 2015, but after taking two years to get to the point of committing to a community, we did not want to wait another 18 months, so two of us asked to meet our new faith partners in person to jumpstart the relationship. Our timing was auspicious. Whether by chance or by providence, we arrived in San José La Montaña during their patron saint festival, which was an added gift. And we arrived just after the FMLN had successfully retained the presidency, which enhanced the atmosphere of joyous celebration. I had followed the wars in Central America throughout the 80s and worked in peace and justice movements at that time. But I had never been to El Salvador, so to finally stand on Salvadoran soil felt like a pilgrimage. We attended the people’s mass in the basement of the national cathedral and the hair on my arms stood up as, standing next to Archbishop Romero’s crypt, I heard liberation theology preached from the pulpit instead of merely reading it in a book. During the offering, in addition to presenting contributions to the altar, participants also presented to the congregation a copy of the hard-won Constitution, holding it out in all directions as an object worthy of adoration, a reminder of what so much suffering had won and what sort of communion was at stake. Heading to San José La Montaña, we drove eastward through towns where Salvadoran clergy and the four US church women had been assassinated alongside the population. As we approached the mountains where there had been such a rain of warfare, then stood with a new friend on top of a ridge, looking east across the Rio Sumpúl into Honduras, I thought again that this land had been consecrated by what happened there. And it was. But not necessarily in the way I had thought. El Salvador Regional Coordinator Julieta Borja had told us that San José La Montaña was a special place, not only because of the natural beauty of the area but also because of the spirit of the community. And she wasn’t kidding. We were welcomed with open arms and hearts. 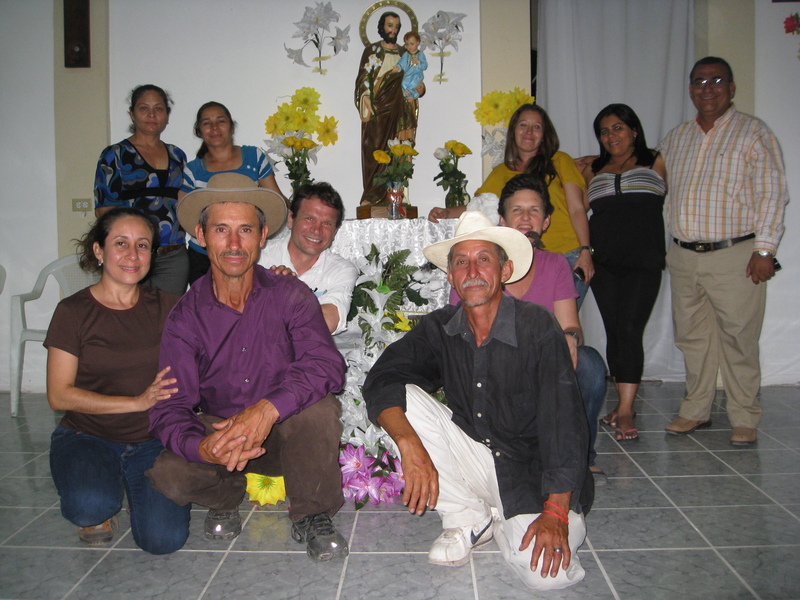 The committee in San José La Montaña displayed a level of hospitality that any US church would find difficult to match. Whether in scheduled appointments to see schools, clinics, political offices, and public celebrations, or in people’s churches and homes, everywhere we went we were greeted graciously and brought right into people’s daily lives. And each stop brought more stories. Personal stories from the war, but mostly explanations of social welfare campaigns and community organizing strategies, joyous celebrations and constant joking. And with each story came a sense of gratitude to us for listening. I came to understand that listening was our main job on this pilgrimage. And I learned a lot, not so much about the suffering of war, although that is necessary context, as about resilience, organization, solidarity, and faith, and about the progress toward justice that those qualities have allowed the people of Chalatenango to make. That spirit has consecrated this land and people more than the suffering that was experienced there. Or perhaps it is better to say that, where violent repression attempted to desecrate the place and the people in order to break their resistance, their inspiring resilience has consecrated both land and people. 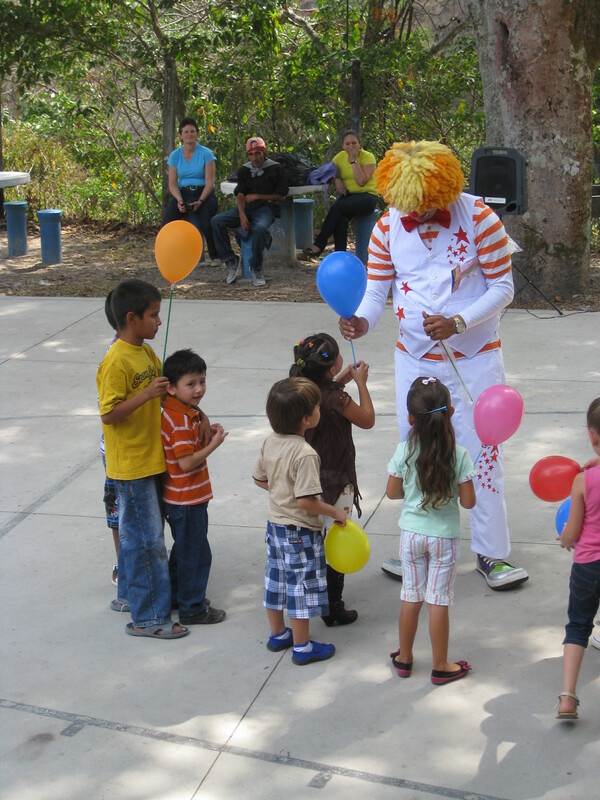 Where once death squads killed children, now a clown entertains them. Where once a little girl fled into the mountains with her family for several years, now that girl is the mayor of her municipality, facilitating a new medical clinic, educational programs, and campaigns to curb violence toward women. Where once a little boy fled alone into the mountains, some of his family having been killed, now a grown man with a farm and a big family organizes local agricultural markets. Where once illiteracy held people down, now functional literacy approaches 90%. Where once parents could not afford the uniforms children need for school, now children get free uniforms. And local women are paid to make them. Where once, as Archbishop Romero said, there was a people crucified, now there is a people resurrected. Organized. Disciplined. Proud of their accomplishments. Realistic about their challenges. Clear in their faith. It is a privilege to learn from them and a joy to call them friends. Coming home, I wondered how to discuss so much complicated history and sensitive politics with my congregation. It seems best to start with personal stories. This is what I saw. This is what they said. Because that is where God appears—and where solidarity begins—in the personal connections we make with our neighbors. This entry was posted in Delegations, El Salvador, General, North to South and tagged david ericson, delegate reflections, delegations, north to south, san josé la montaña, staff reflection, trinity. Bookmark the permalink.